NITRO-TECH contains protein sourced primarily from whey proteinisolate – one of the cleanest and purest protein sources availableto athletes. 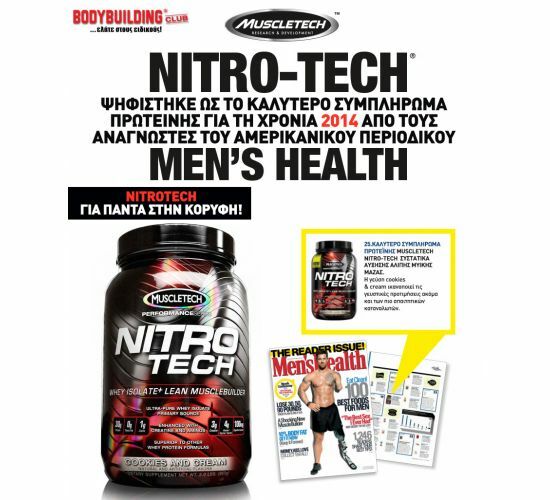 It is also enhanced with the most studied form ofcreatine for faster gains in muscle and strength. 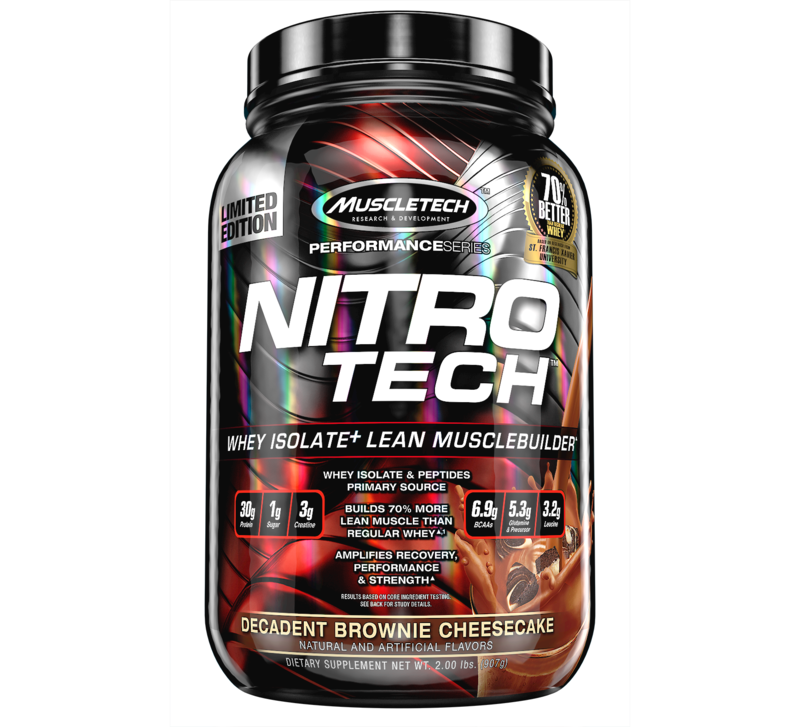 NITRO-TECH contains 30 grams of protein, primarily from wheyprotein isolate, ultra-filtered whey protein concentrate andhydrolyzed whey protein isolate, with only 2 grams of carbs and 1.5grams of fat! Try stacking NITRO-TECH® with your favorite pre-workout and musclebuilding supplements. VaporX5™ Next Gen and Clear Muscle® are two great supplements that can help create the perfect stack for real results!